Don't forget to spoil grandma (or mom/aunt/etc.) for a special Holiday, or just to show your love!! 14K yellow gold bar measures 4mm x 40mm and comes with a 17 inch cable chain. 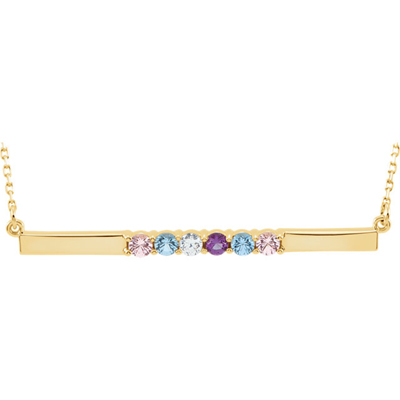 We guarantee our 6 Stone Birthstone Bar Necklace in 14K Yellow Gold to be high quality, authentic jewelry, as described above.